Shop Hosa Power Extension Y Cable Dual NEMA 5 15R to NEMA 5 15P from AMS and enjoy Fast & Free Shipping. 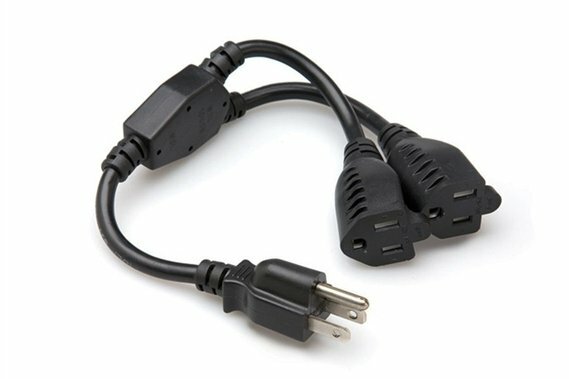 This grounded, heavy-duty A/C Y cable is great for cleaning up a power cable mess and saving space on your power strip. 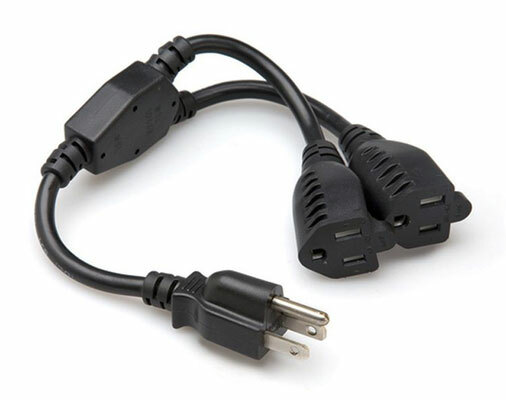 Designed to connect two power cords into a single outlet, the Hosa Cable YAC Grounded Power Y-Cable is ideal for use with wall-wart power supplies behind equipment racks. Intended for use in North America and nations that have adopted the NEMA standardAt 14 inches long, it's absolutely perfect - it stays out of the way and gets the job done.Please observe local fire and electrical codes.